An exciting opportunity exists for an Aboriginal and or Torres Strait Islander to join our dynamic Bundaberg based multidisciplinary organisation that provides a public health response to the prevention of sexual violence and abuse to all ages and genders. To be considered for this role working at our Therapeutic kindergarten, you are required to have a minimum of a Cert III in Community Services, aboriginal primary health care and or Childcare. Applications close MONDAY 3rd of MAY, 2019. 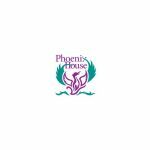 Please forward a Covering letter and Resume to the Director of Service jrushton@phoenixhouse.com.au. Successful candidates will be forwarded an application package to secure an interview. For further information phone: 07 4153 4299 or email admin@phoenixhouse.com.au.